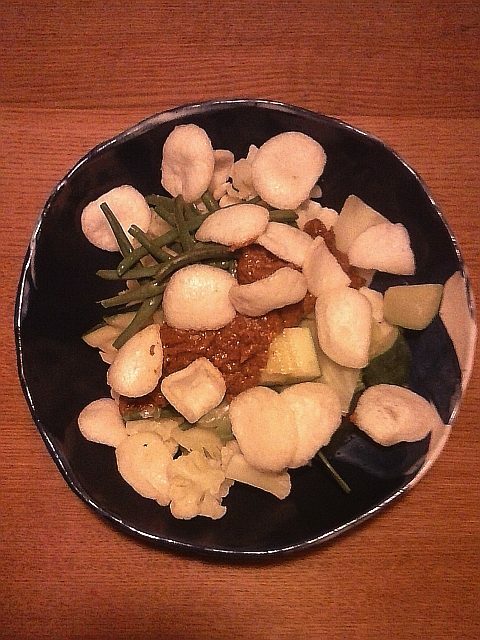 Day 3 of the vegan challenge: Gado gado, a speciality of Jakarta, Indonesia. 25 years ago they used to serve a wonderful version in the retro dining room of the Hotel Indonesia. Here is a simplified way to make it: blanch various vegetables, pile onto a dish, drizzle with peanut sauce and top with various extras. I do love my toppings. Cassava chips for salty crunch, fried cubes of tofu or tempeh for extra protein, beansprouts for a touch of bitterness, banana for sweetness, or all of the above. Gado gado is normally served tepid. For the vegetables I’ve used courgette, cauliflower, oxheart cabbage and green beans, but feel free to vary these according to what looks freshest at the supermarket. Fill a large saucepan about a third full of water. Add some salt and bring to the boil. 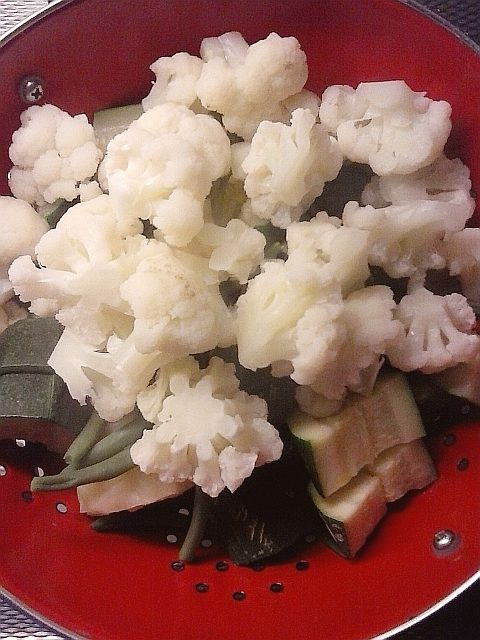 Boil the cauliflower until just done. 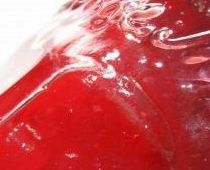 Remove with a slotted spoon and drain in a colander. Now use the same water to boil the other vegetables, one kind at a time, ending with the dark green ones – the beans in this case. Add more water if needed. Meanwhile make the peanut sauce. Fry the ginger in the oil in a small saucepan over medium heat for about 30 seconds. Turn down the heat, add the turmeric and peanut butter and slowly stir in the water. It will combine as it warms up. Stir in the sugar, soy sauce or salt, and pepper to taste. To serve, pile the vegetables on three plates, drizzle over the peanut sauce and add toppings of your choice.